Visualize the hidden structure of your facebook network. Install the Lost Circles Extension from the Chrome Webstore. Make sure you are logged into Facebook inside Chrome. Press "Start loading" from the Lost Circles menu. Depending on the number of friends you have, this might take a while. Important: If loading is not working, try changing your Facebook language to English and repeat the process. Use the "Visualize" Button to see your current network. If load status is below 100%, you see only a subset of the whole network. 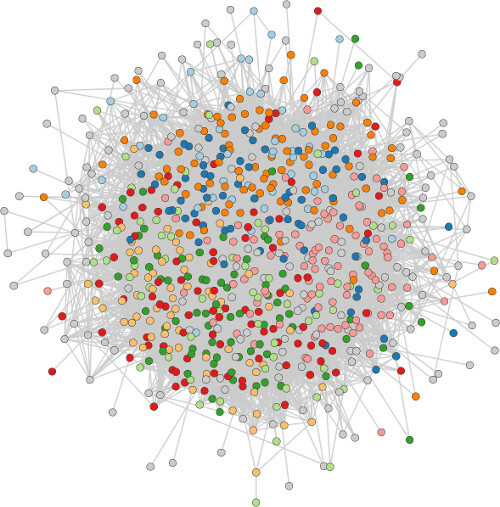 A facebook network of a hundred friends or more is often very dense. This is because your friends are usually friends with each other, resulting in a huge number of links. 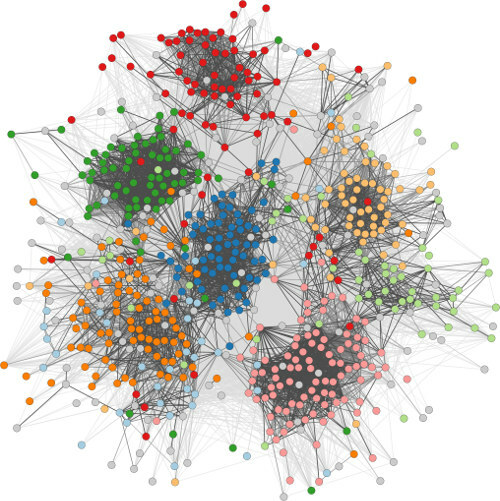 When visualized, such a network looks very confusing and does not have a real structure: we call this a hairball. Our app helps you to untangle your hairball and show the hidden group structure among your friends: your lost circles. We do this by determining the relative importance of the links and draw your friends with stronger ties closer together. Try it out for yourself!